If oily skin and pimples are troubling you, then OXY Oil Control Active Face Wash is the perfect choice for you. Get fresh and clear skin with OXY Oil Control Active Face Wash. Its oil-control & pimple clearing ingredients rid your skin of excess oil and other pimple causing germs, leaving it clean and fresh. Explore the entire range of Face Wash available on Nykaa. 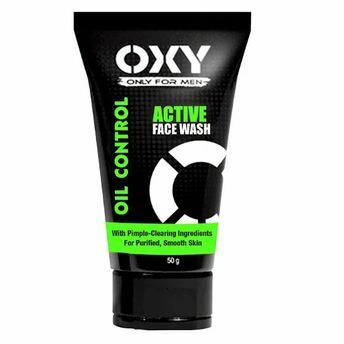 Shop more OXY products here.You can browse through the complete world of OXY Face Wash .Alternatively, you can also find many more products from the Oxy Oil Control Active Face Wash range.